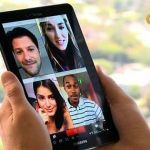 OoVoo is a pretty good choice for video chat and socializing- it’s among the safest video chat platforms available for free. Like any other app, though, it can be dangerous if not used responsibly. If you have a young child that is using the platform, make sure an open line of communication is always available and that their username aren’t plastered all over the internet. To use OoVoo safely, though, precautions should still be taken. • Users should avoid using their full first and last name in their username. • Profile pictures shouldn’t contain any location-related specifics (like a school in the background). • A user’s status message shouldn’t contain personal information like a phone number or email address. 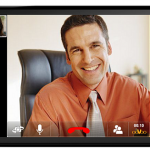 For added privacy, there is a setting that allows certain people to find the users OoVoo profile. 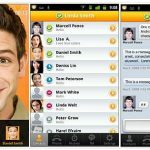 It makes it so that only people who know the the users email address or OoVoo username can find him or her, which cuts back on the amount of random people that can reach out to your child or teen. With this option, come two other options: “anybody” and “nobody”. “Anybody” allows anyone to find the user, while “nobody” makes it so that no one- whether they have the username or email address or not- can find the user. Going along with privacy, it should be noted that it isn’t uncommon for people to post their social media handles and usernames on multiple sites. To avoid potential stranger danger, this should always be avoided.